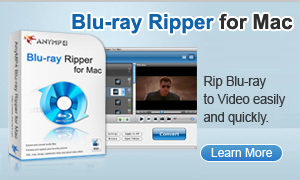 Blu-ray Ripper is an all-inclusive tool for handling both Blu-ray and DVD discs. This Blu-ray Ripper could help you rip Blu-ray disc or rip Blu-ray movies to various video files. It is an integrated utility that is mainly used to convert Blu-ray to different HD and common video formats like M2TS, AVI, MP4, WMV, FLV, MPEG, MOV, MKV, RMVB, etc. Blu-ray Ripper for Mac is handy Blu-ray software for Mac to help Mac OS users easily rip Blu-ray on Mac to video, as well as rip DVD to video. It is mainly used to rip Blu-ray and DVD disc on Mac to video in different HD and common video formats like M2TS, AVI, MP4, FLV, MPEG, MOV, MKV, RMVB, etc. Copyright© 2014 Blu-Ray Ripper. All rights reserved.